I'm sharing two cards today, both in soothing tones of blue and pale gray. One is a sympathy card, and one for encouragement. It's a short and sweet post today. Lots to do around the house before attending a special birthday celebration later in the afternoon. Hope your day is wonderful and look for God's blessings -- they are indeed everywhere! Pretty cards Colleen. Both are so peaceful! These are both so beautiful, Colleen. I'm especially partial to the second one with the soft blue and all the white. 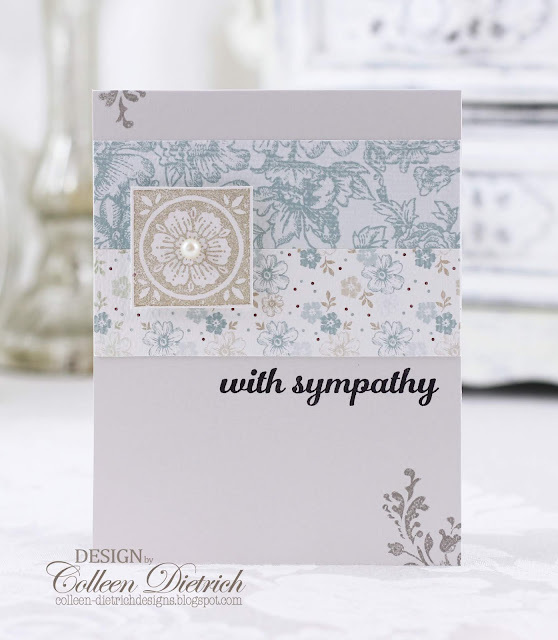 It's such a lovely sympathy card. The verse on the first is just wonderful, too, and how nice with the feathers.